Ramon Ortiz played three years as a pro. He played them all as a rookie. Ortiz played for two different clubs over those three campaigns, but he never did better than rookie ball. He never made single-A. Ortiz' brief career began in 1988, signed by the Indians as an undrafted free agent out of his native Puerto Rico. Ortiz played his first season in the rookie Gulf Coast League. He got into 39 games and hit .173. He was 17 years old. Ortiz returned to the field in 1989. He played that season between the GCL and rookie Burlington. He got into 31 games at Burlington and three in the GCL.He hit .234 overall, with four RBI. 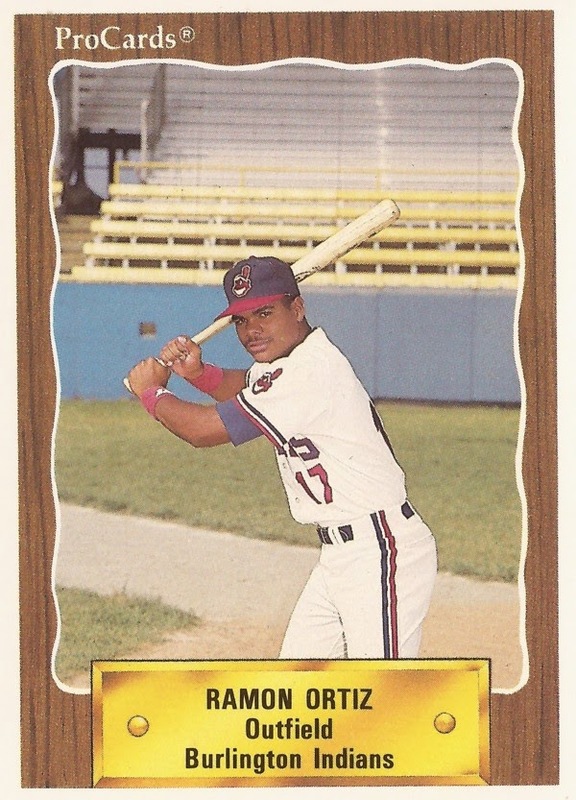 Ortiz returned to Burlington for 1990, but his stay was brief. He got into just nine games, picking up four hits in 20 at bats. It was his final season as a pro. He wasn't even 20.